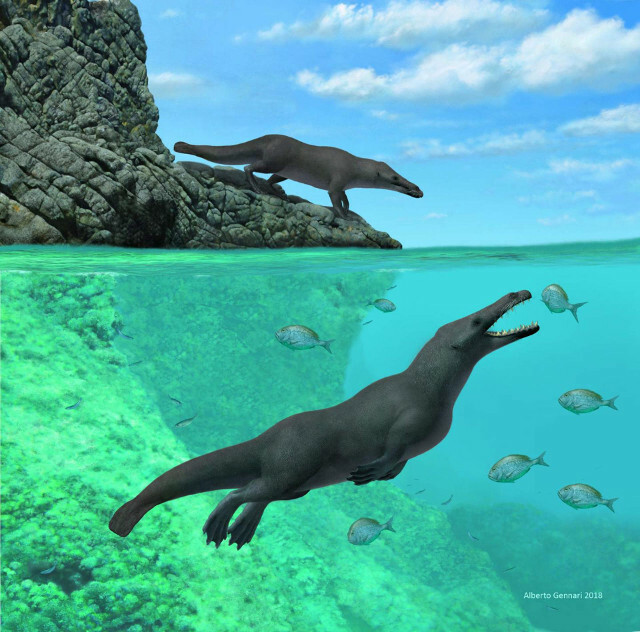 An article published in the journal “Current Biology” reports the discovery of the fossils of a quadruped whale in sea sediments near the coast of Peru, dated about 42.6 million years ago. A team of researchers named this new species Peregocetus pacificus, probably the oldest found in the Americas. The uncovered skeleton constitutes the first indisputable finding of fossils of amphibian cetaceans that could move on land and swim in sea waters. According to the generally accepted paleontological reconstructions, cetaceans originated in southern Asia over 50 million years ago. As they evolved from terrestrial mammals, they adapted to an amphibious life beginning to spread in the oceans over the following millions of years. The protocetids (Protocetidae) form a family that includes primitive cetaceans and Peregocetus pacificus was attributed to it. The skeleton in good state of conservation dating back to the Middle Eocene period, between about 37 and 47 million years ago, was discovered in 2011 after Mario Urbina of the Museo de Historia Natural-UNMSM in Peru found a promising area for the excavation of fossils in the coastal desert called Playa Media Luna. 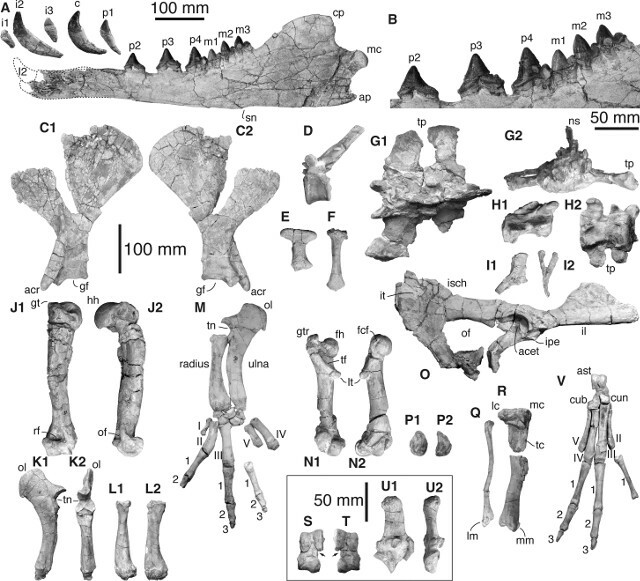 In the past other fossils of quadruped cetaceans were discovered in India and Pakistan, in the probable area of ​​origin of this group of mammals, and the proportions between front and rear limbs are similar to those of Peregocetus pacificus. The anatomical features show the amphibious nature of this new species since it had small hooves on its fingers and toes and a shape of pelvis and limbs that suggests it could walk on land but probably also had webbed toes and a tail with a shape that suggests it could also swim well. The discovery of the Peregocetus pacificus skeleton offers new information on the evolution of cetaceans, given that it shows an intermediate amphibious phase with a size that could already reach about 4 meters, but also on how they spread in the world. It supports the hypothesis that early cetaceans reached the Americas across the southern Atlantic from the west coast of Africa to South America. At the time the distance between the two continents was about half of the current one and, together with the ocean currents, this helped that migration. Probably only at that point from South America those amphibious whales migrated northward to reach North America. Dr. Olivier Lambert of the Royal Belgian Institute of Natural Sciences stated that he and his colleagues who studied Peregocetus pacificus intend to keep on studying remains of other cetaceans in Peru looking for remains of even older amphibious species. Knowing that certain animals lived in that area is useful to focus fossil research and some luck in finding fossils in good condition can offer a great help to paleontologists.